The trees surrounding your home are a key part of your overall landscaping. Not only do they provide shade and purify the air, but trees also add to the beauty of your home. It’s critical to consider your trees when making construction decisions. Specifically, when installing a pool in your yard, the surrounding trees should certainly be part of the construction plan. Before you begin enhancing your property, here are some common questions to consider about tree removal before pool construction. How do I know which trees to remove? While you may want to keep all your yard’s trees, some trees may need to be removed before pool construction. Since tree removal is often a last resort, it’s important to make an informed choice. Many professionals will recommend keeping all tree bases at least 15 feet from the edge of your pool. Otherwise, simple protective measures can maintain tree health and minimize risk of damage. How can I protect my lawn’s trees? 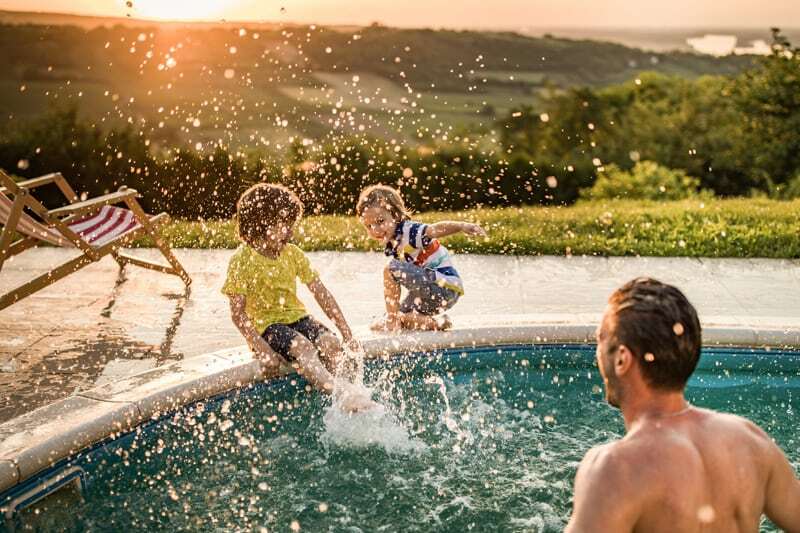 For the trees that will remain in your yard when installing a pool, it’s essential to provide protection from construction damage from construction damage. Damage to trunks, branches, and roots can eventually lead to tree death. You may consider placing a plastic fence around the base of the tree to create a barrier during construction. After construction, it’s important to aerate the soil, as compacted soil can cause the roots to rot. Will the trees damage my in-ground pool in the future? 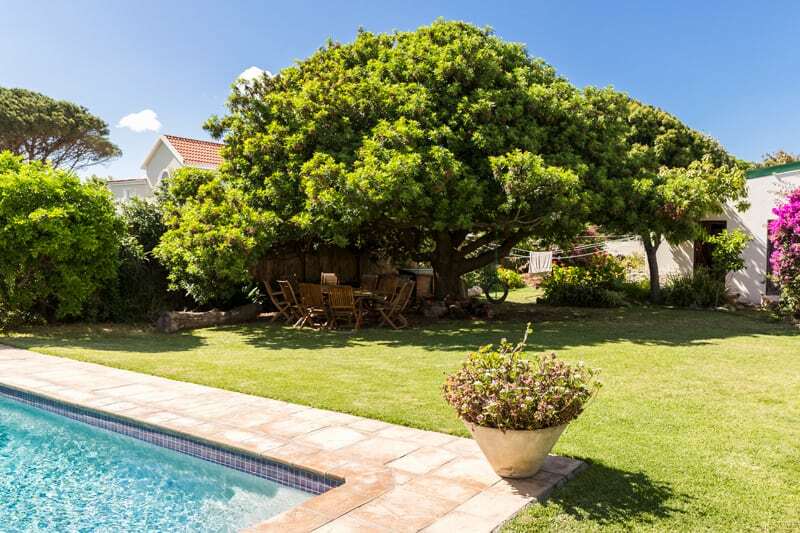 Many homeowners are concerned that a tree’s roots will extend to puncture the side of the pool. This generally only happens when you keep a tree that is too close to the pool. This goes back to the 15-feet rule. If you build the pool far away enough from surrounding trees and safely remove trees that are too close, you will likely avoid pool damage. What if I’m not sure whether to remove a tree? 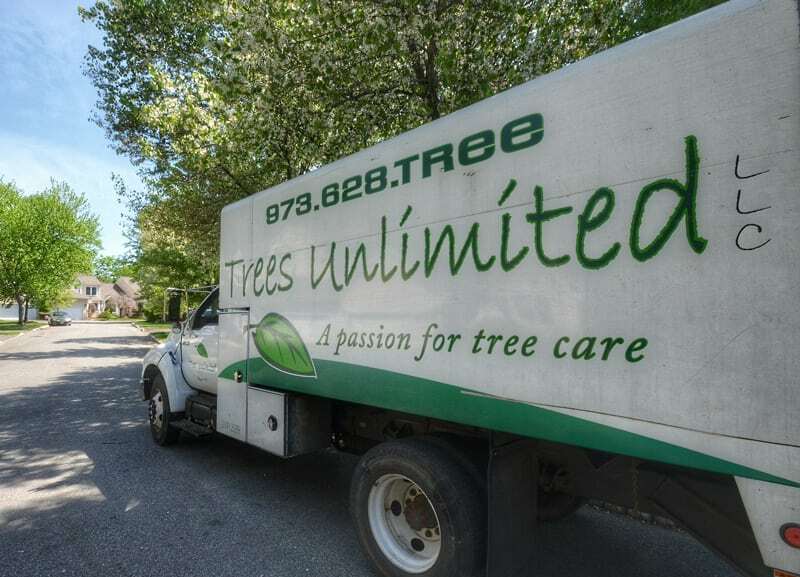 Remember: A professional tree care and removal company is your best resource when deciding whether to remove a tree. If an expert decides that it’s best to remove a tree, their team of professionals will know how to do so responsibly without creating further damage. By consulting a professional tree care company and assessing your lawn’s needs, you can ensure that you retain the health of as many trees as possible during pool construction. And in the case of removal, you can trust this process to the experts. By doing so, you can enjoy your pool and trees for many years to come. Contact us for more information about tree removal and care during construction.